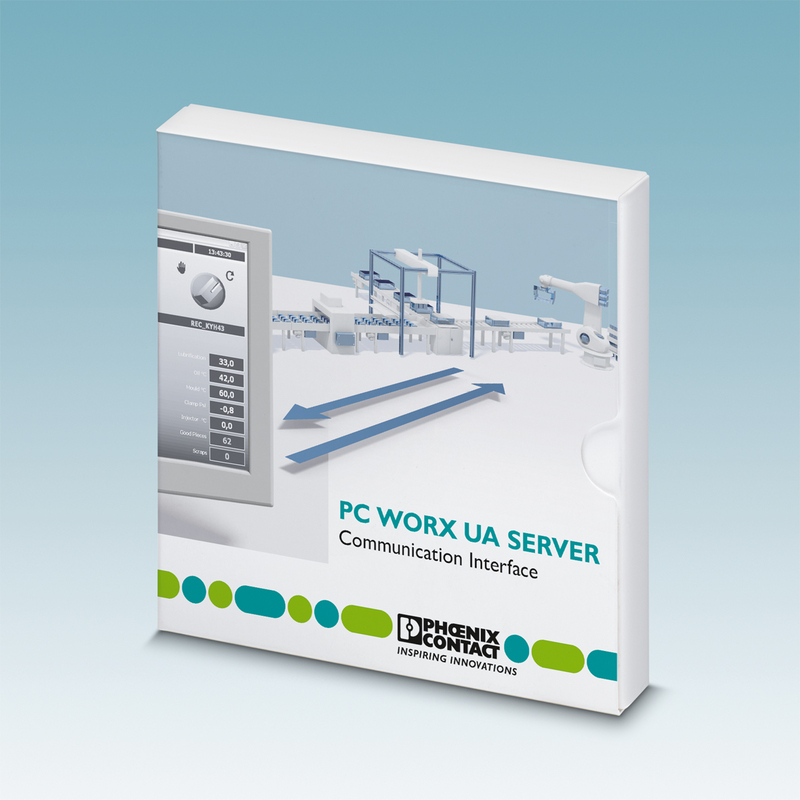 The PC Worx UA server from Phoenix Contact makes it possible to access all variables of PC Worx-programmable controllers via the standardized OPC UA (Unified Architecture) communications protocol. The server is designed for high-volume processing: It can pass data from up to 200 controllers to a visualization or production control system. 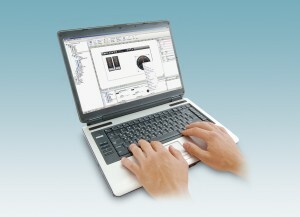 The mapping of variables takes place via the standardized PLCopen profile. Communication is performed using the binary protocol, which allows the OPC UA server to achieve high data transfer speeds. A certificate-based security concept protects against unauthorized access, manipulation, and operator errors. In addition to authentication of OPC UA clients using certificates, the server offers the optional ability to encrypt the data flow between client and server. Close attention was paid to detailed diagnostics. Using the supplied configurator, users can easily configure security settings and diagnose the current communication connections to the clients and controllers. 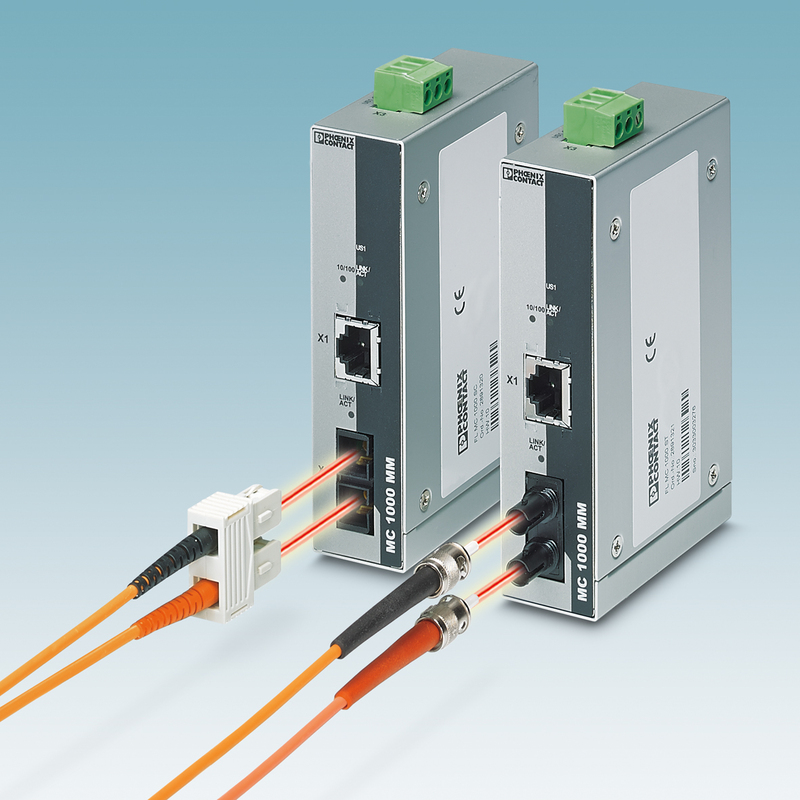 The new class 1000 Ethernet media converters from Phoenix Contact are designed for industrial applications with basic requirements. They offer a simple and cost-effective entry into optical transmission technology. 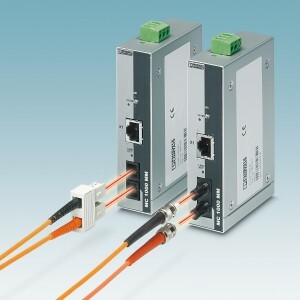 Data transmission via fiber optics optimizes Ethernet applications in terms of performance and transmission reliability. In addition to a higher range, the benefits of electrical isolation are also reaped. The compact units in robust metal housings bridge distances of up to 9.6 kilometers. Multi-mode glass-fibers are used, optionally with SC duplex or B-FOC (ST) plugs. Start-up is simplified by auto negotiation and auto crossing. In addition, data rates of 10 and 100 Mbps can be firmly set. Besides numerous diagnostics LEDs, the media converters are equipped with LFP function (Link Fault Pass-through). This ensures permanent and continuous monitoring of the connection. In the event of a connection loss, redundancy mechanisms can take over operation immediately. The new DC fuse adapter from Phoenix Contact is an easy-to-install protective element for photovoltaic systems. Its optimized thermal behavior prevents premature failure due to age. 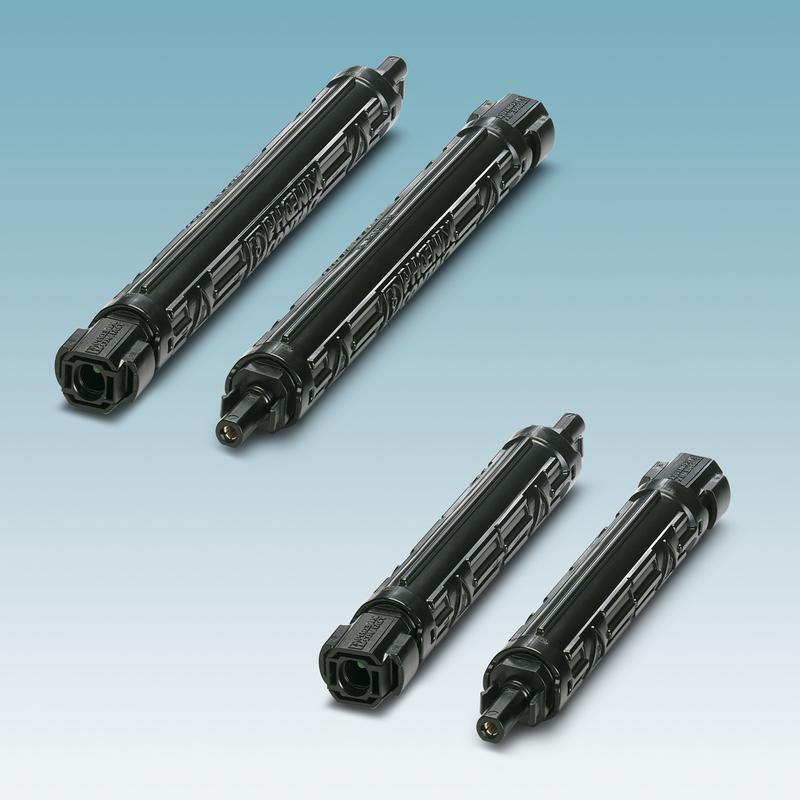 The fuse adapter meets all applicable international requirements, including the latest TÜV test specifications. Phoenix Contact offers a solution combining the new RS-485 bus coupler with Radioline I/O wireless modules to provide customers with a multiplexer system specifically for process use. As in the Radioline wireless system, thumbwheels on the front provide a fast and simple way to address the head modules and easily perform I/O mapping of the expansion modules. This allows users to distribute I/O signals in an RS-485 bus system without any programming or software configuration. In addition to operation by means of a two-wire RS-485 bus line with up to 99 stations, the new RS-485 stations can also expand the Radioline wireless system, so that I/O mapping can be extended to cover all media. 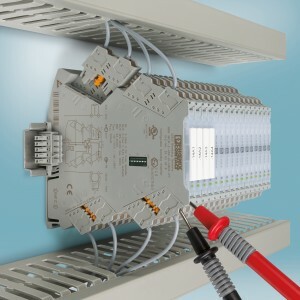 Alternatively, the stations can also be operated in stand-alone mode on a Modbus/RTU master, thus allowing for direct connection to a controller. 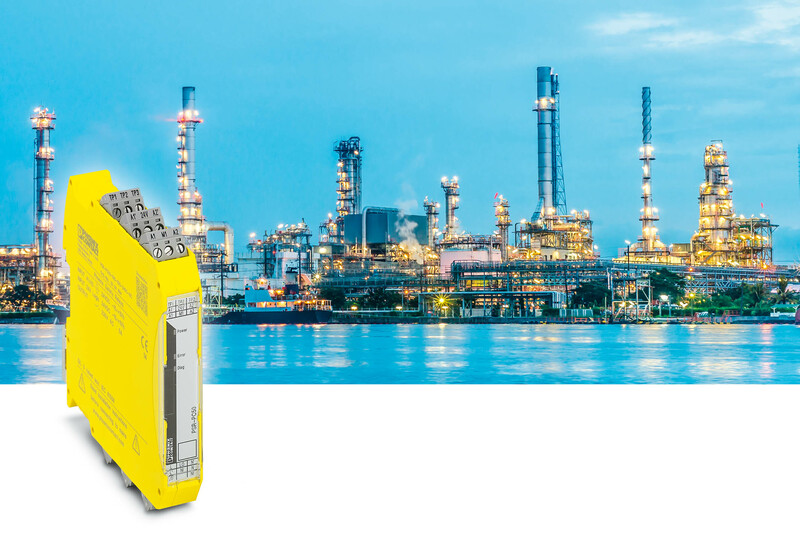 For robust use in continuous industrial operation, the I/O expansion modules from the Radioline product family feature electrical channel-to-channel isolation and a wide operating range from –40 to +70 °C. The system also offers an extensive package of approvals including ATEX, IECEx, and UL certifications. Phoenix Contact is expanding its proven Sunclix solar connector program by adding a DC plug-in connector with crimp connection for machine installation. 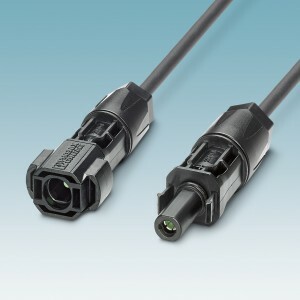 Two different sizes of contact inserts allow the connection of cables with cross sections of 2.5 mm² to 6 mm² (AWG 14-10). Prices in line with the market and a connector construction that meets the needs of the market make the plug-in connector with crimp connection suitable for use with PV modules. Voltages of up to 1500 V and currents of up to 40 A allow future-oriented use in temperature ranges of -40 to +90 °C. The plug-in connectors fulfill the requirements of Protection Class IP68 (24 h/2 m) and have been submitted for certification according to UL 6703 and German Institute for Standardization (DIN) EN 50521. As a result, with PSR-PC50, Phoenix Contact offers a coupling relay that has been specially developed for this area and that can be used according to SIL 3. The coupling relay was specially designed for failsafe controllers in the field of process technology. As such, all requirements for use in applications up to SIL 3 are fulfilled, according to IEC 61508. Internally, the device has six contacts that are switched in parallel as well as in series. In this way, the safety required is taken into account, as well as the necessary availability. Continuous diagnosis poses a challenge for planners and planning engineers. Generally speaking, the controller diagnosis ends at the coupling module used. Often this is not sufficient for many users. To this end, the line/load monitoring function of the PSR-PC50 relay enables seamless diagnostics from the controller to the actuator. Open circuits as well as short circuits in the on-load voltage supply and diagnostic supply voltage are monitored. If an error occurs during normal operation, in all established safety systems it can be reported via the existing control line back to the corresponding digital output. In this way, the need for additional installation time and other digital inputs required for actuator readback is eliminated. Phoenix Contact is introducing the atvise scada, AIP, and Acron software solutions to add visualization, alarm management, and data archiving functions to its portfolio. 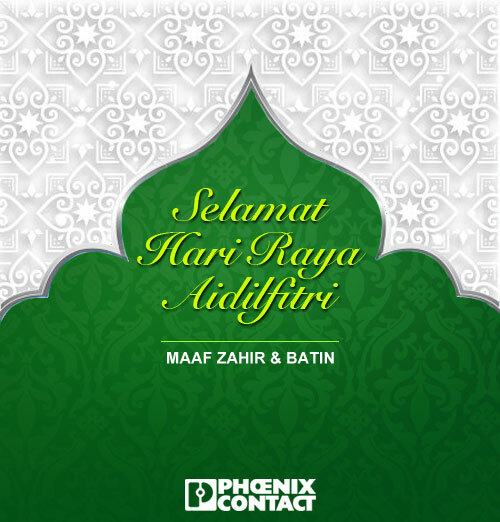 With the integration of this software into its own product line, Phoenix Contact takes another step toward becoming a supplier of complete solutions for process automation, for example, in infrastructure applications such as the water and wastewater industry. The AIP (alarm information portal) alarm management software is the perfect solution for location-independent process monitoring. 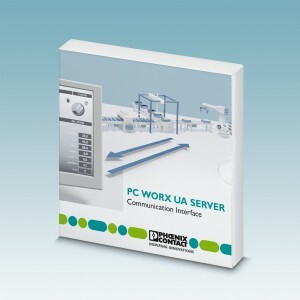 The software can be linked via standard interfaces such as OPC (Open Process Control) to control and visualization systems and reliably keeps service staff updated through media such as e-mail or text messages. The Acron Plant Chronicler logs all plant and operating data in redundant databases when required. Using the log function, meaningful and customizable charts and documents can be periodically generated. Acron conveniently integrates with visualization systems and controls via standardized interfaces such as OPC UA (Unified Architecture). The Mini Analog Pro product family is the first line of 6-mm isolation amplifiers with plug-in connection technology. There are now four new product types that are UL 508 listed and thus can also be used in the USA and Canada. The expansion of the product line includes an analog frequency converter with limit value functionality for converting standard signals to frequency or PWM signals, a limit value switch with converter relay output for switching analog limit values, a constant voltage and current source, and a NAMUR insulation amplifier for proximity initiators and voltage-free and resistive switch contacts. 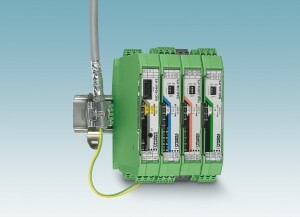 The easy-to-configure modules are available with screw-in or push-in connection technology. The Mini Analog Pro isolation amplifiers can be easily installed and operated in narrow spaces. Easily visible and accessible connection points and power measurements during operation ensure convenient use.